Winter is a great time to visit Japan. 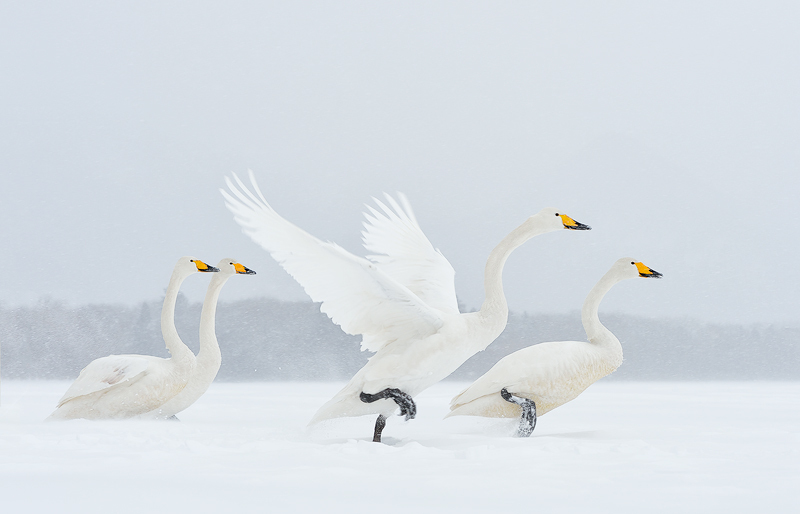 The stunning snow-covered landscape is the perfect backdrop to photograph Japan’s photogenic wildlife. 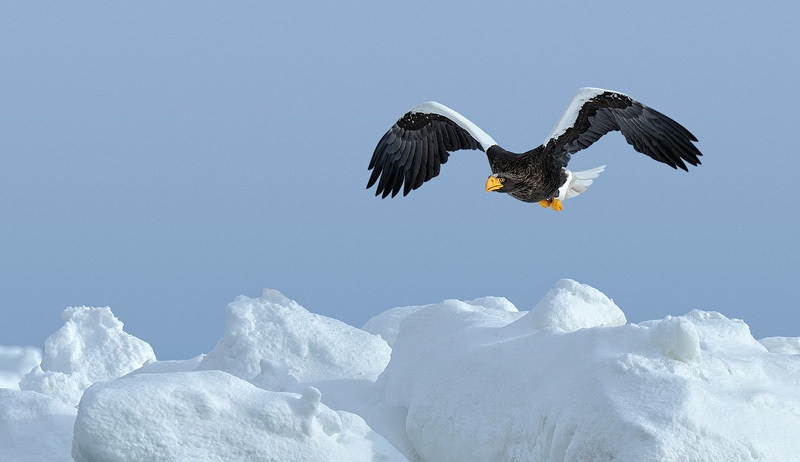 On this spectacular trip we take you to the northern island of Hokkaido, also referred to as Japan’s Alaska, where we will photograph the rare and beautiful red-crowned cranes performing their graceful winter dances, large groups of whooper swans on misty ice lakes with dramatic mountains in the background, and white-tailed and Steller’s sea eagles on the floating pack ice from Siberia. Join Marsel and Daniella on this amazing trip! We are offering you a roundtrip on Hokkaido in winter-time. 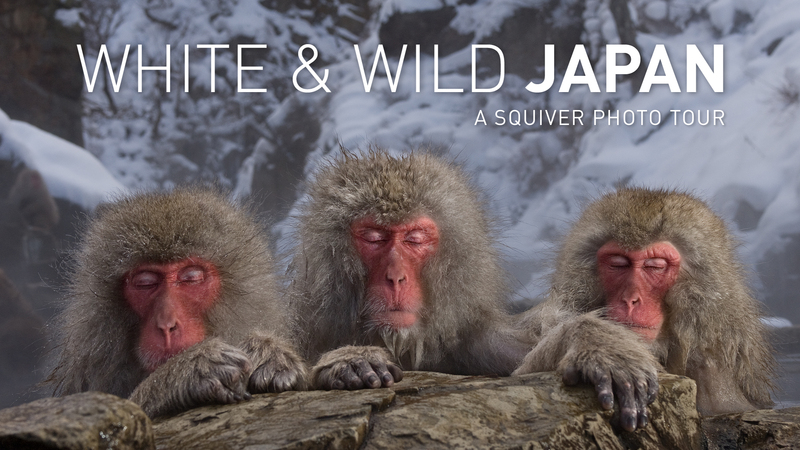 Experience the Japanese culture, customs and food, while photographing the amazing wildlife in their beautiful surroundings. We’ve produced a tour PDF for you to download, which gives you a detailed idea of what you can expect. Please download the PDF through the link or the button at the bottom of this page. Red-crowned cranes, Steller’s sea eagles, white-tailed eagles, whooper swans, red fox, sika deer. 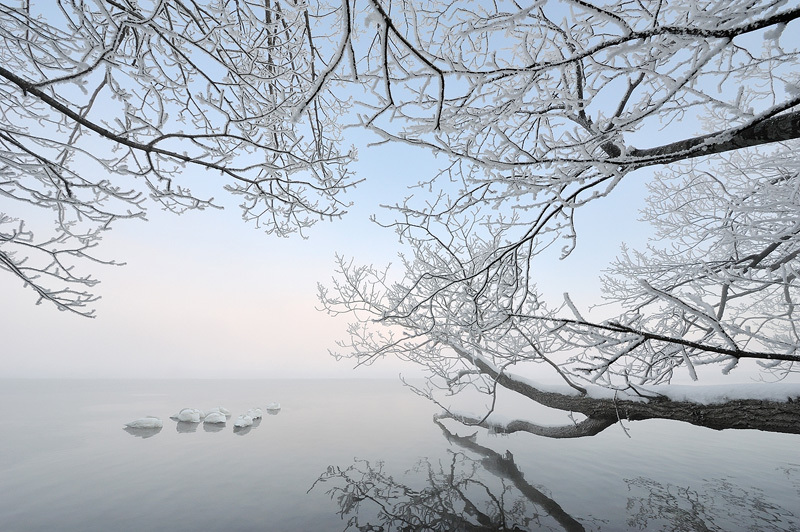 It is usually dry and cold in Hokkaido (up to -20ºC at night, with days around 0 up to 5ºC). On this tour you will stay in a combination of Japanese Ryokans, and more western style hotels. Most rooms have private facilities, apart from some of the hotels, where you can bathe in the hotsprings of the hotel. All shooting locations can be reached by bus, making this tour quite easy. Do keep in mind that it can get very cold, which might be uncomfortable. Because we do things differently. We’ve been going to Japan now for many years and over the years our Japan tour has been copied by many. It was a reason for us to take a break from Japan for a while. Until some of our regular guests started asking us to do it again… We knew we wanted to make this tour different (and better) than what is currently offered by other photo tour companies. So we set out to come up with the best birding tour in Japan! 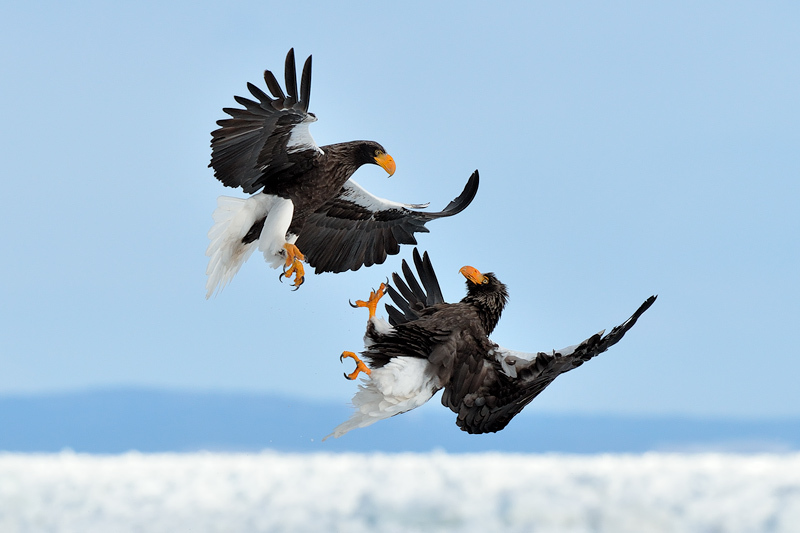 We decided to spend more time than anyone else does with the eagles, photographing them 2 mornings in Nemuro, where we expect to get some good flight shots. And we have included a record breaking number of 6 (!) boat cruises in Rausu in our tour fee, amongst which are 3 PRIVATE afternoon charters for just our group on the boat. No one is offering that! After that, we will spend 4 nights around Lake Kussharo, hoping to get some beautiful swanscapes in different weather conditions. 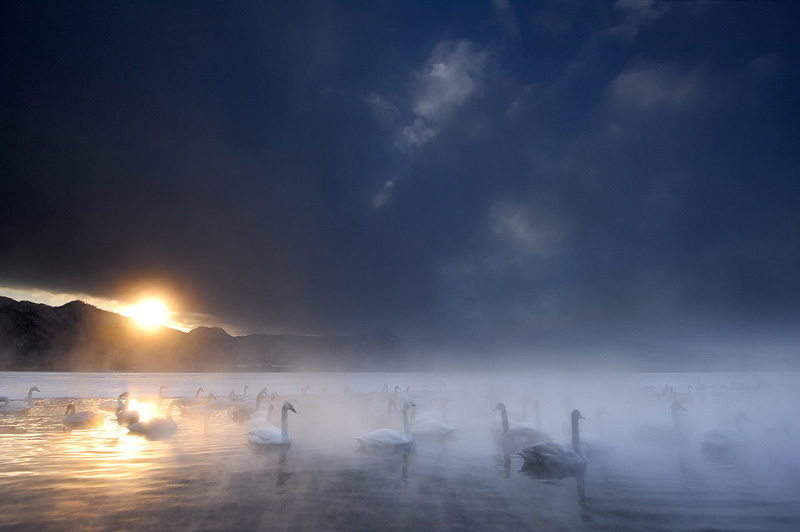 Although whooper swans are common in many places in the world, it is actually our favorite subject in Hokkaido because of the magical setting: a half frozen lake, steam from hot springs, white topped mountains in the background. It’s simply amazing. 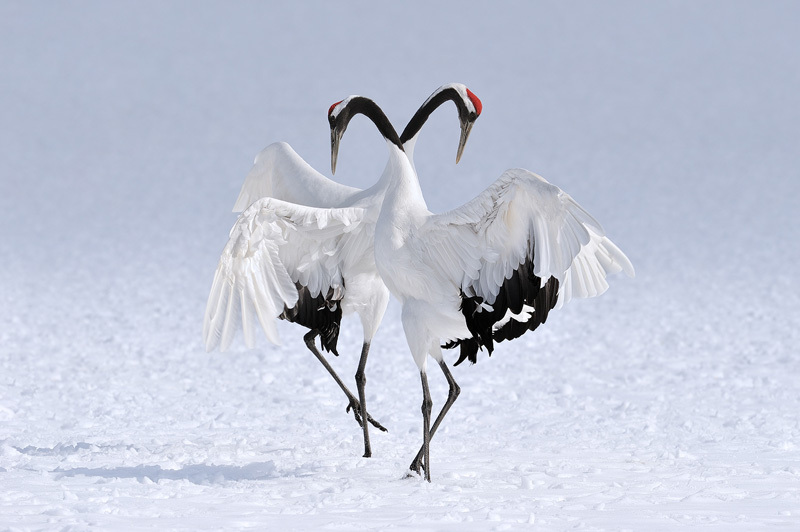 We will top it all off with 3 nights in Tsurui, where we will photograph the endangered red-crowned cranes. But apart from offering you the best program possible, we also do it at a much better price/quality ratio than the rest. This tour offers you more time behind the camera than you’ll get anywhere else. Our trips attract photographers from all over the world. The language we speak on all tours is English. 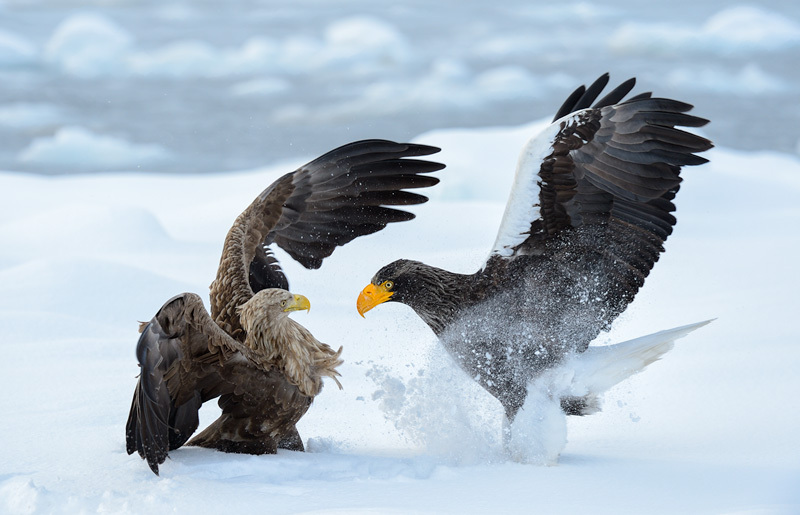 Join us on a truly unique adventure that blends a vast array of fascinating wildlife with the exquisitely beautiful landscape of Japan in winter. Please read our Terms & Conditions for this tour. And don’t forget to have a look at the stunning tour PDF, which gives you a more detailed look at what you can expect on this tour, information about the wildlife you will encounter, and our day-to-day schedule.